So far I’ve made this with one chicken and two lemons and it’s always turned out, yes, perfect. (My husband R. likes it better than the Writer’s Chicken, and it’s even easier.) I bake it for just under two hours and use kosher salt on it. Kara – And solo easy! I’m a writer (not famous), a Realtor (not famous), a wife (not famous), and a mom, (famous) 🙂 I’ve never been a foodie or a “great cook”, but I’ve taught myself. Love Carolyn See, and her bird is beautiful. 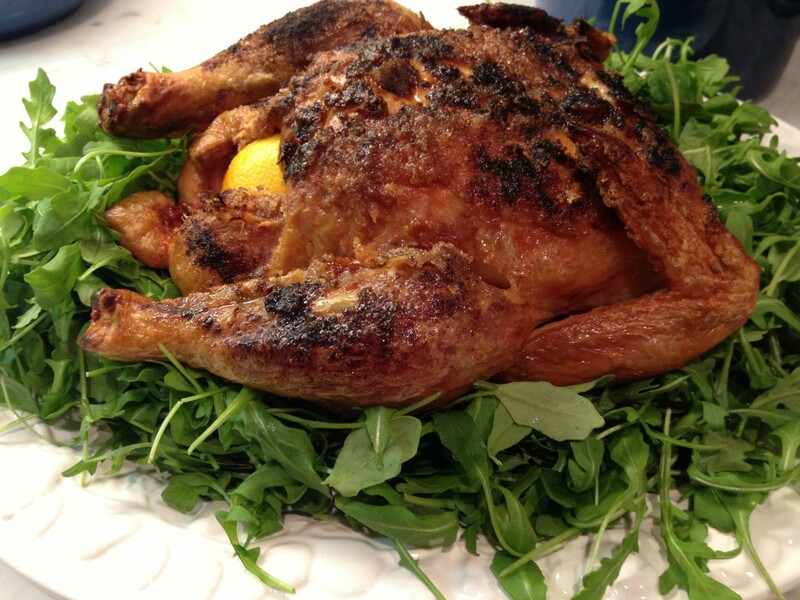 I consider myself queen of the roasted bird (everyone wants me to cook roasted chicken when they come to my house), but I’ve learned to embrace other roasted chicken recipes–this looks wonderful. I think a fabulous dinner party would be to have several people bring their favorite roasted chicken recipe and do a sampling. Nothing is more inviting and simple than the smell of a chicken roasting in the oven. Also, love your mashed potato recipe! My family will consume this dish, but love that you don’t peel the potato! Robyn – Thanks for the comment. I love the idea of a pot luck roast chicken dinner. I may try that!